Today the businesses competitive environment does not leave room for bad services and high prices. Garage door companies must try to keep their clients happy in all aspects and their employees very well trained and educated because garage doors keep getting more complicated and the technicians must be able to succeed to all types of garage door repairs. 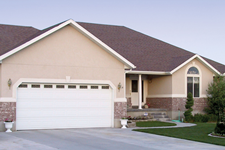 Garage Door Repair Surrey doesn’t stop for a minute exploring its chances to improve its standards, ambitions, and development, since the expectations of the customers are high. We make sure our equipment is state of the art and our technicians fully informed about the latest technologies. The province of British Columbia has a big advantage: it combines the beauty of wild life with the communication opportunities that the Pacific Ocean offers. We enjoy a spectacular way of life in Surrey as well as it is known for its many festivals and the cultural events every year. Unfortunately, progress brings along high crime rates and Surrey suffers a lot from car thefts. This is another reason why we, at Garage Door Repair Surrey, believe that garage door problems must be fixed immediately. After all, most of them are routine tasks for our experienced technicians, who can offer you garage door adjustment in a matter of minutes. Of course, some tasks must be performed only by professionals since untrained people would be better to refrain from hazardous jobs such as torsion spring replacement. Our technicians can give you some tips of how to conduct regularly maintenance lubrication, but you must keep in mind that we can do even the simplest tasks for you if you are too busy to engage. We respond fast to your emergencies without keeping hidden costs and try to solve all your garage door problems day or night. Even if you don’t have an urgent repair, our technicians can come over for a garage door inspection and determine possible issues. We are always at your service!